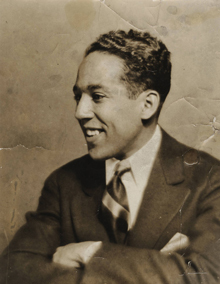 Mystic Museum of Art’s presents our 6th annual poetry reading celebrating the legacy of America’s renowned African American poet, Langston Hughes. The afternoon will feature select readings from Hughes’ body of work, read by regional poets, educators, artists, students and members of the community. Free and open to the public. Keynote Speaker: Carl Dean, Jr.
Carl Dean, Jr, is a poet and author of two books of poetry, Rhythm (2013), and Life…Through the Words & Between the Lines (2001). He is in his tenth year of teaching a performance poetry course at the University of Connecticut where he works as an Academic Counselor. His poetry is featured in an Essence Magazine former bestseller novel, Mama’s Baby, Daddy’s Maybe, by Jamise Dames. He is a Connecticut Poetry Out Loud Teaching Artist preparing high school students for school and state competitions. For many years, Carl hosted a monthly open mic poetry event dedicated to inner-city middle-school students. The program was designed to guide and encourage the students to come out of their comfort zone and express themselves through their poetry. He has performed at various poetry venues, literary and community events for various causes, high schools, universities, youth centers, and correctional facilities. Carl, a self-taught percussionist of the djembé (African drum) and cajon, often infuses their dynamic sounds into his performances.